It’s an understatement that Facebook has found itself in some hot water lately in regard to data privacy, thanks to the Cambridge Analytica scandal. CEO and founder Mark Zuckerberg is testifying in front of Congress today and tomorrow in regard to the company’s actions and the ways it has used personal data. Today, Facebook introduced the Data Abuse Bounty program, which will reward the social network’s users for reporting apps that misuse data. If someone has proof or first-hand knowledge about an app violating Facebook’s terms of service by collecting and transferring people’s data to another party, whether for money, political influence or scams, they can notify Facebook through this program. If the tip pans out, Facebook will “shut down the offending app and take legal action against the company selling or buying the data, if necessary.” The person who reported the tip will also get paid: The reward could be as high as $40,000, though Facebook notes that there is no maximum payout. You can check out the Data Abuse Bounty Program on Facebook, but it’s not a surprise that Facebook would turn to its users to help police the social network. It’s proven to be too big and complex for Facebook’ security to handle, and while the company is increasing the number of employees it has to monitor the service, incentivizing its user base to report on these issues makes a lot of sense. Thanks to a silly statement made by the prime minister, most British politicians are now asked in interviews about the worst thing they have ever done. When MP Kemi Badenoch was handed the question, she confessed to something quite serious: hacking into the website of another politician. In an interview with Core Politics, published by the Mail on Sunday, the Conservative MP for Saffron Walden said that she had hacked into the website of Labour politician Harriet Harman “a decade ago.” At the time, she was a member of the (rival) Conservative party but was not yet an elected official. After guessing the website’s username and password, Badenoch says, she “changed all the stuff in there to say nice things” about her own party. After the story came out, Badenoch apologized to Harman, who has accepted the statement and wishes to move on. But the confession, which was reported on Sunday, has sent some people racing to grab copies of the Computer Misuse Act (CMA) 1990. Section 1 of the law clearly explains that a person is guilty of an offense if he or she knowingly accesses someone else’s computer or data without permission. Technology lawyer Neil Brown said that “changing someone’s website without their authorization would be a criminal offense if the person making the change knew that they did not have authority.” So, on the face of it, it seems a fairly open-and-shut case, no matter how unsophisticated her attack. But despite consternation from hackers and politicos, it’s likely that the MP will escape censure for the hack. This is because in 2008, when the crime was committed, a breach of the CMA was a summary offense. Put simply, that’s a crime considered trivial enough that it can be tried only in magistrates’ court, the lowest tier of all England’s and Wales’ mainstream courts. When the Computer Misuse Act 1990 was first passed, section 1 was only a ‘summary’ offence. That means it can only be tried in a Magistrates’ Court. Section 127 of the Magistrates’ Court Act 1980 also means that the prosecution must be commenced within 6 months. Since a Section 1 violation was seen as relatively trivial, it had a fairly short limit on when proceedings could be brought against it. At the time, law enforcement agencies would have needed to begin proceedings within six months. It’s assumed that the attack took place in early 2008, so the time limit lapsed well before the end of that year. In a lengthy thread on Twitter, barrister Greg Callus explained that the timing of Badenoch’s hacking was extremely lucky. This is because a change in the law, dated from October 1st, 2008, made Section 1 offenses triable “either way.” That’s the sort of crime that can be tried either in lower courts or higher ones, depending on the facts of the case. An “either way” offense is one where the magistrate can decide if their power to punish is equal to the severity of the crime. Hack your high school’s website to say the principal smells and they’ll probably deal with you themselves. Hack a rival politician’s website during an election, however, and you may be referred to a superior court for more severe punishment. The legislation, too, is now likely to come under further scrutiny, with University of Oxford researcher Andrew Dwyer tweeting that the “Computer Misuse Act is woefully inadequate in the definition of cybercrime.” That won’t provide much comfort to other politically motivated hackers who feel that something is wrong here. “Considering others have been prosecuted for similar, juvenile attacks on websites,” former LulzSec member Mustafa Al-Bassam told The Guardian, “I’ll be curious to see if the law will be applied equally.” Sadly for him, it’s likely that the law will be applied equally here too, just not in the way he is expecting. Can’t make it to one of Walmart’s pickup towers to snag your online grocery order? Don’t worry: Now you can have it delivered via Postmates. And it all sounds pretty simple, too. Either place your order via the Walmart website or grocery app and then pick a delivery window. There’s a $30 minimum and a $9.95 delivery fee per order, which isn’t too awful. There’s even a promo that first-time customers can take advantage of that waives their first delivery fee. Online grocery pickup is currently available at 20 stores in Charlotte, NC for now. An additional 1,000 stores will be getting the service by year’s end. Grocery delivery will be expanded to another 100 metro areas by next January. In a press release, Walmart was quick to take a shot at rival Amazon saying that the option doesn’t require a subscription. Netflix’s cooking competition show Nailed It! is looking for bakers for its upcoming second season and it’s going a rather interesting route to find them. Host Nicole Byer announced a competition through which aspiring Nailed It! contestants can earn a spot on the show — bake some cookies and then decorate them in your likeness. The #bakeyourselfie challenge requires applicants to bake a batch of sugar cookies from a recipe the show has provided, which you can find here. Then decorate a cookie based on a selfie you’ve taken and post both on Instagram, Facebook or Twitter. Make sure to tag #bakeyourselfie and @nailedit. Nailed It! — each episode of which features three home bakers cooking complicated pastries as they compete for a $10,000 prize — was renewed for a second season last month alongside Queer Eye, Dope, Drug Lords and The Toys That Made Us. The #bakeyourselfie challenge is open until April 20th. Next time you need your favorite organic peanut butter, salmon fillet or coconut water right at that very moment, say a silent thanks to Amazon. The e-commerce giant’s two-hour Whole Foods Market delivery is now available in Los Angeles, and for free — but still only for Prime subscribers. If you’re a member and live somewhere in greater Los Angeles or Orange County, you can take advantage of the free service by purchasing Whole Foods items from Prime Now’s website or the Prime app for Android and iOS. Whole Foods has a delivery service of its own, but you’d have to pay a fee for every order — if you already pay for Prime membership anyway, Amazon’s option is definitely the better deal. (In case you need your wood-fired pizza and almond milk within one hour instead of two, you can also shell out $8 to get them even more quickly.) The tech giant launched the service in select Austin, Cincinnati, Dallas and Virginia Beach neighborhoods back in February. Now, it’s available in seven cities and will continue to expand to more across the US. In addition to fresh produce, meat and seafood, you can order (select) alcohol through Prime Now. Take note that you can only put in a request for delivery between 8AM and 10PM, though, so you’ll have to go elsewhere for your midnight cravings. It’s no secret that Instagram has had serious Snapchat envy for a while, but what got the ball rolling? If you believe Bloomberg, it’s none other than Mark Zuckerberg himself. A source talking to the news outlet claimed that Instagram’s founders refused to replicate Snapchat’s Stories feature until the Facebook CEO personally asked for the feature. He was concerned Instagram was going to miss out on a whole generation if it didn’t shake up its product, the insider said. Not surprisingly, the company’s version of events differs. A spokeswoman told Bloomberg that Instagram “was not pressured” into adding Stories and created it “internally.” Co-founder Kevin Systrom painted things slightly differently: he didn’t confirm the story, but did say there was “tension” over Instagram’s future that ultimately worked out in its favor. If Zuckerberg did prompt the fateful decision, it wouldn’t be surprising as to why. Snapchat was (and to a degree, still is) the go-to service for teens, with usage jumping rapidly in 2015 and 2016. While Instagram was comfortably ahead at the time, Snapchat’s pace posed enough of a threat that you could see it eventually claiming the lead. Flash forward to 2017, a year after Instagram Stories arrived, and it was a different story — Snapchat’s growth had tapered off, while Instagram was surging. And crucially, Instagram’s success is crucial to Facebook’s success. While it may have far fewer users, it’s effectively the alternative social network for people who either object to Facebook (whether due to privacy concerns or its ‘uncool’ status) or just prefer its photo-centric approach. If Instagram had slipped behind, Facebook critics would likely have left the company’s products altogether. After a couple weeks of anticipation, Facebook CEO Mark Zuckerberg will make the first of two appearances before congressional committees this afternoon. At 2:15PM ET, Zuckerberg with testify before both the Senate Commerce, Science and Transportation Committee and the Senate Committee on the Judiciary on privacy and user data. This is the first of two days appearances before Congress this week as the Facebook chief will also appear before the House Energy and Commerce Committee tomorrow morning. You can watch Zuckerberg’s testimony live via the Judiciary Committee website this afternoon. If you prefer to watch on Twitter, Bloomberg’s TicToc will offer a livestream there. Several other outlets are streaming to YouTube and Facebook, and we’ve embedded the feed from PBS News Hour down below for easy access when the time comes. Wherever you choose to watch, you might want to get comfy: New York Times reports 44 senators are on the docket and they each will get four minutes to question the CEO. For now, catch up on what you can expect from this week’s proceedings right here. Minecon is returning to a livestream near you. On September 29th, the virtual fan convention will broadcast a 90-minute show featuring panels, a costume contest and news. To participate in the first two, you just need to fill out an application form and submit photos, respectively, and if the judging committee is impressed with your ideas, you could get flown to the filming location and be a part of the show. The Saturday stream will also show off new features and live gameplay, along with a few surprises. Last year was the first time Microsoft tried a virtual convention after holding physical ones the world over. Since the company is doing another, last year’s must’ve been a success from a financial and community perspective. You no longer need dual cameras or a Pixel 2 to take DSLR-like portrait photos with your phone… provided you’re using Instagram. The social service has rolled out a Focus camera mode that will soften the background the moment it detects a face in the scene, giving you that portrait mode effect no matter how many cameras your phone has. It’s available on the iPhone 6S and newer Apple devices, as well as “select” Android handsets. On top of this, iOS users are getting an @mention sticker option in Stories. It’s a small addition, but it lets you plug a friend or draw their attention while you’re recounting your day. There’s no mention of when it might be available for Android users, but we wouldn’t expect a lengthy wait. 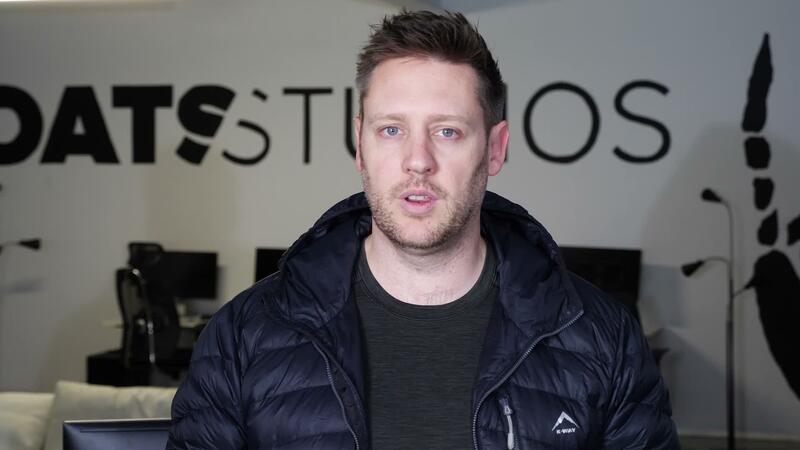 Neill Blomkamp, director of dystopian sci-fi epics District 9, Elysium and Chappie, will be live on Twitch tomorrow, April 11, showcasing five independent films made by his film studio, Oats Studios. After each of the short films — Rakka, God, Zygote, Kapture and Firebase — Blomkamp, his art director Rich Simpson and his VFX supervisor Chris Harvey will do a Q&A, where fans will have the opportunity to ask the team about its inspiration and, pertinent to the types of movies Blomkamp is known for, its logistics. This isn’t the first time the director has used livestreaming to test the water for new ideas, but on this occasion, viewers will be encouraged to visit the studio’s fundraising page, where they’ll have the opportunity to help finance the creation of the next Firebase, a science fiction horror set in an alternate reality within the Vietnam War. The event may well be a brazen request for money, but as Twitch’s senior vice president of content, Micheal Argon, says, it could “possibly mark the first Twitch community-funded feature”. This could give way to future opportunities with Hollywood content, which would be a natural progression for the platform.